In the pre-election media race to locate the “heart of Trump Country,” all finish lines pointed toward Appalachia and the Rust Belt. In declining cities across these sometimes overlapping regions, journalists drank from what appeared to be an infinite well of wrenching stories from economically precarious white voters. 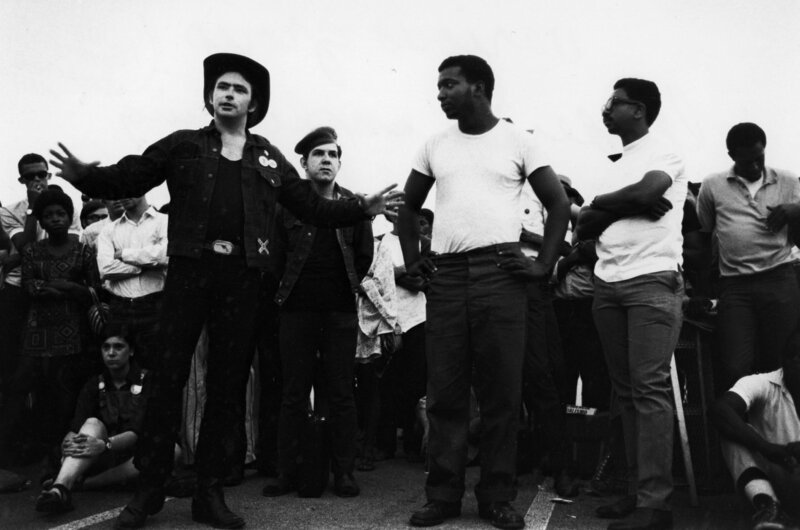 Often laced with extravagant political forecasting and too little regional history, these profiles of Rust Belt and Appalachian voters shored up a narrative of working-class revolt that the public, and particularly cosmopolitan readers, seemed to eagerly consume. Regardless of our affiliations, we became “the Other America.” Now, three months after the election, just days into the era of President Trump, and contra that fixed narrative, this “Other America” is rising up. The following weekend, Peduto joined protesters at the Pittsburgh International Airport after widespread backlash to Trump’s immigration ban transformed airports across the nation into sites of resistance. “It’s literally happening again, and we have to stand together to say no,” Peduto told the crowd, referring to anti-immigrant sentiment that overtook the country at the turn of the last century. 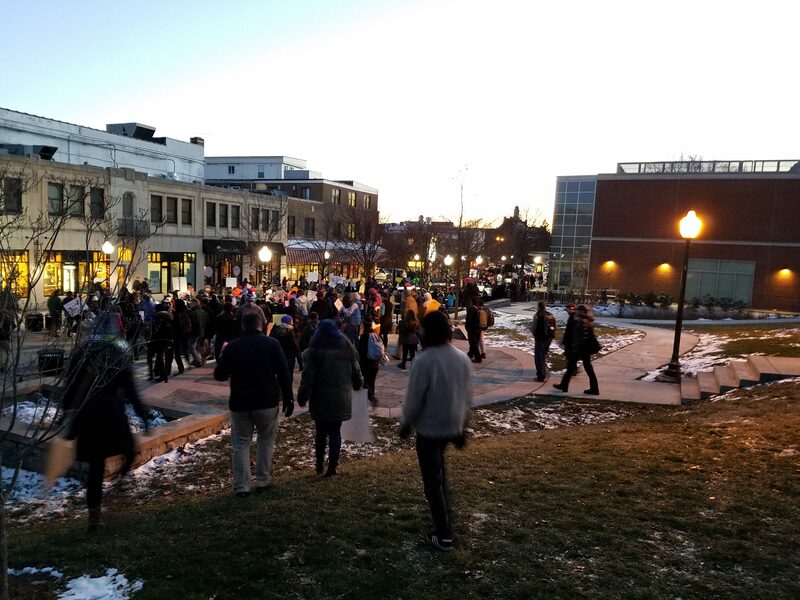 In Blacksburg, Virginia, more than 1,000 residents came together the Monday following Trump’s immigration order, proving that even cities removed from metropolitan centers stood ready to mobilize. The chair of the Coalition for Justice, Margaret Breslau, told reporters, “If you look at this crowd, it’s young people, it’s old people, it’s students, it’s community. We’re a university community but really it’s just touched everybody.” In freezing temperatures, several hundred students at West Virginia University held a vigil on January 30 to support the university’s international community, which includes 127 students from banned countries. The West Virginia University community also filled a free “citizen lobbyist” training workshop hosted by reproductive rights organization WV FREE to capacity the following night. Individuals across Appalachia are also mobilizing in response to two anticipated White House orders. Environmental activists and impacted residents expect Trump’s legislation that allows the Dakota Access and Keystone XL Pipelines to proceed will also speed through environmental review for the proposed Mountain Valley Pipeline in Pennsylvania, West Virginia, and Virginia. The Mountain Valley Pipeline would cross both the Appalachian Trail and the Blue Ridge Parkway, not to mention homes, waterways, and forest habitats that are home to protected and endangered species. Individuals in Appalachia and the Rust Belt are also challenging who and what “Trump Country” is by re-taking control of regional narratives. House Republicans on Thursday also used the rarely-employed Congressional Review Act to strike down an Obama-era regulation that required coal companies to monitor the water quality of waterways potentially affected by mining activity. Beyond political and protest action, individuals in Appalachia and the Rust Belt are also challenging who and what “Trump Country” is by re-taking control of regional narratives. While national media rightly identified strong support for Trump across Appalachia and the Rust Belt, their profiles often employed a journalistic sleight of hand to position sustained voices of opposition as a cosmopolitan or coastal phenomenon. To write about “Trump Country” was to ignore those with liberal or radical politics, the existence or concerns of people of color, those without claim to a decidedly blue-collar nightmare, immigrants, and LGBT individuals. Just last week, readers in the Rust Belt shot back at the New York Times for ignoring regional women’s marches in favor of a profile about an economically depressed Michigan town where few seemed to be aware of both local and national marches. 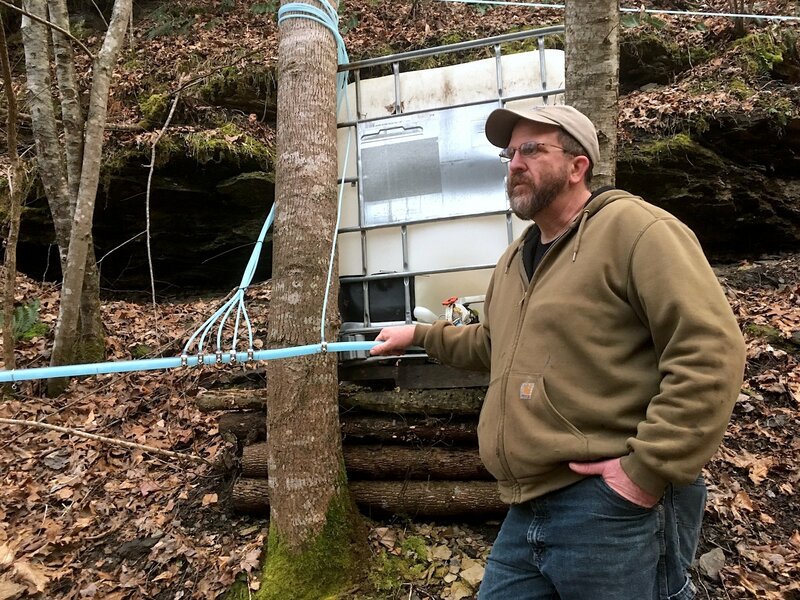 The most forceful reclamation to date is West Virginia University’s “100 Days in Appalachia” project, supported by West Virginia Public Broadcasting, the Daily Yonder, and the Center for Rural Strategies. The project pushes back against sweeping definitions of “Trump Country,” and aims to “ask the world to listen with us, as diverse communities in Appalachia respond to cabinet picks, policies, and promises made.” Not all the stories shared by this project have or will be oppositional to the administration – readers will likely find support and enthusiasm for Trump as well as stories of resistance. The project reflects, however, a strong desire to use regional experts and regional voices to explore Appalachia on its own terms. After an election cycle saturated by generic Rust Belt and Appalachia analysis from pundits like Hillbilly Elegy author J.D. Vance, it’s encouraging to see ordinary people grab the mic back. Although local resistance might continue to be overlooked by the national press, what we on the ground have seen in the first days of the new Trump administration is nothing short of remarkable, with small cities and towns mobilizing up to five or ten percent of their populations. As an educator, I’ve witnessed an upswing in individuals wanting recommendations for texts on labor history, community organizing, and regional history. These are vital and necessary steps toward sustaining movements, and to ignore these growing voices is to do so at your own peril. 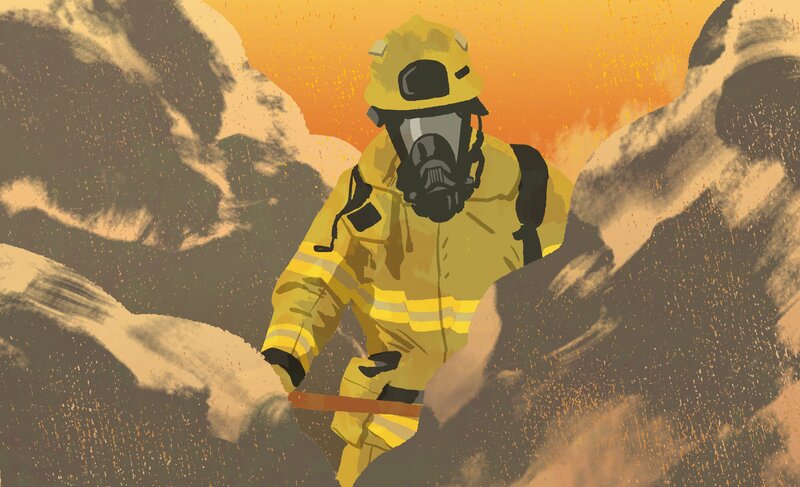 The entire nation must now learn to survive inside “Trump Country” and those of us who have been resisting in Appalachia and the Rust Belt for years might have a lot to teach you. Elizabeth Catte is a historian and writer from East Tennessee. Her book What You Are Getting Wrong About Appalachia is forthcoming from Belt in 2017. More of her work can be found at elizabethcatte.com. Thank you for a heartening article! It is true that the media has not covered the best people in Appalachia and the Rust Belt. That needs to change. Keep organizing and resisting in these scary times! We are all with you! GREAT PIECE MAY THE SPIRIT LIVE ON.